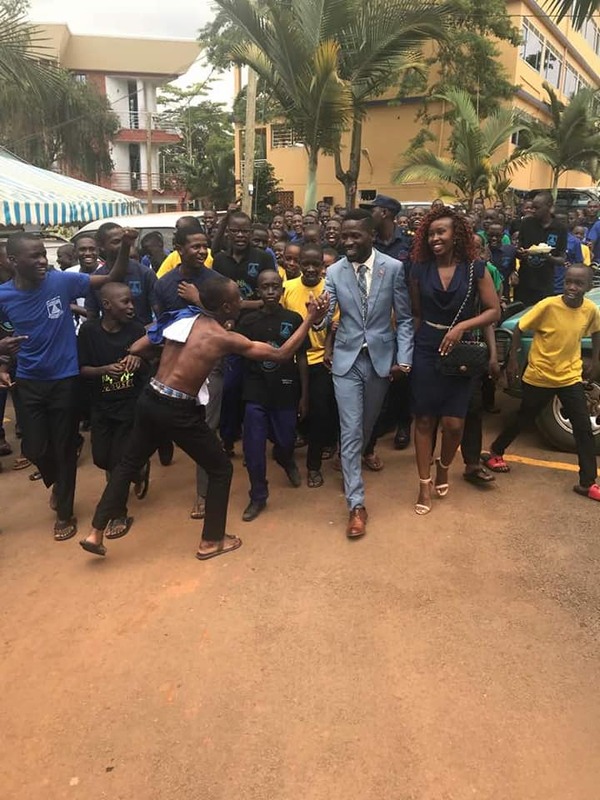 Singer/ Member of Parliament, Bobi Wine has a lot of favor with the people. This is because he wants to be one with them, and not crawl up in a higher seat above everyone. He shares in celebrations and in pains. On Sunday, Uganda held the Martyrs day celebrations at Namugongo Shrine, and the Kyadondo East honorable came along with his Ghetto first lady to share with the Nation. Happy Martyrs day Uganda. This day, we reflect on three words-FAITH, CONVICTION, AND SACRIFICE. May their example encourage us to do good, and stick to what is just and right even in the midst of great tribulations- even if it means paying the ultimate price. As Hebrews 11:33-39 says of the giants of faith, “Through faith they conquered kingdoms, administered justice, and gained what was promised. They shut the mouths of lions, quenched the fury of the flames, and escaped the edge of the sword; whose weakness was turned to strength. ….There were others who were tortured, refusing to be released so that they might gain an even better resurrection. Some faced jeers and flogging, and even chains and imprisonment. They were put to death by stoning; they were sawed in two; they were killed by the sword. They went about in sheepskins and goatskins, destitute, persecuted and mistreated— the world was not worthy of them. …..These were all commended for their faith.’ God bless you and God bless our nation Uganda. He was of course welcomed by a multitude, mainly Youth, who know that he could be a source of hope for all of them. Namugongo was packed as usual, during the Martyrs day celebrations as many pilgrims traveled from far parts of the country.